We are using an advanced theoretical approach to investigate the properties of various enzymes in order to design biologically active compounds and to help experimentalists interpret their results. The Tunneling Group was established in June 2014 at The Biotechnology Centre as an independent research group. The main activity of the group borders the fields of molecular biology and computational chemistry. We are using an advanced theoretical approach to investigate the properties of various enzymes, to design biologically active compounds, and to help experimentalists interpret their results. The host institute, The Biotechnology Centre, was established at the Silesian University of Technology (SUT), which is one of the largest technical universities in Poland in 2006. It was created as an interdisciplinary platform to engage researchers from all departments of the SUT working in the fields of biotechnology and molecular biology. The Biotechnology Centre is also a partner of the BIO-FARMA consortium formed in April 2007 by the SUT, the Centre of Oncology, the Silesian Medical University, and the University of Silesia, thereby providing easy access to various collaborations and interdisciplinary projects. The existing infrastructure of the Biotechnology Centre ensures general availability of state-of-the-art scientific equipment including: a supercomputing centre; RT-PCR; UHPLC; UV-VIS, FT-IR, FT Raman, MS, and NMR spectrophotometers; light, fluorescent, and confocal microscopes; atomic force microscopy (AFM); nucleic acids and protein structure/function analysis equipment. Scientific achievements can be easily transferred into applications through the Centre of Innovation and Technology Transfer or “Technopark Gliwice”, which serves as an incubator promoting the emergence and development of new technologies based on small and medium sized enterprises. The surrounding business environment is one of the best in Poland – Gliwice is located in the Katowice Special Economic Zone, which is the largest economic zone in Poland. 2018-12-19 – Maria and Agata were awarded!! 2018-12-16 – 5th edition of Projects Days is over! 2018-12-14 – 5th edition of Projects Days has started! 2018-12-03 – AQUA-DUCT was presented in VISTEC, Thailand. 2018-11-12 – New publication in Biomolecules. 2018-05-07 – Kasia is participating in FEBS course. 2018-04-04 – Welcome new members. 2018-01-24 – Agnieszka was awarded!! 2017-11-19 – Karolina was awarded!! Gates – underestimated and quite often imperceptible “tools” of enzymes that appear to be one of the best candidates for modification of enzyme activity, selectivity and substrate specificity. Research on enzymes conducted during the last decade provided evidences that regions located further from the active sites can also determine enzymes properties. 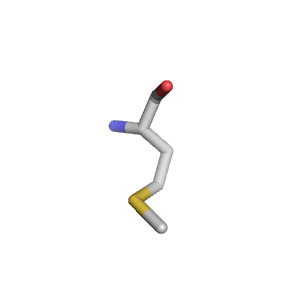 Such control may come from co-reagents or inhibitors providing allosteric regulations or may appear as a result of localisation of active site deep into protein core. In second case transport occurs through tunnels network. Substrate access pathways provide additional constrains for binding of ligands to the active site. 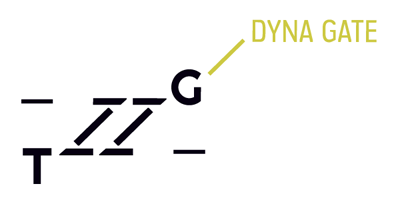 Precise control may be achieved by gates – dynamic systems made of individual amino acids residues, loops, secondary structure elements or domains, which are able to change a geometrical state between open and closed conformation reversibly and by such transition controls the flow of small molecules – substrates, products, ions and solvents – in and out of the protein structure. synchronize processes occurring in distinct parts of a protein. 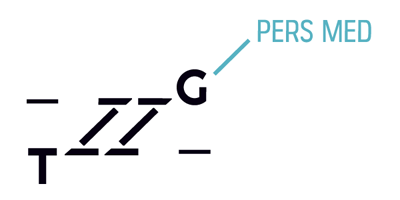 The passage of molecules through the access pathways can be controlled by gates trough their specific molecular interactions, e.g., electrostatic, hydrophobic or their geometrical properties, e.g. size discrimination in the bottleneck. The proper function of the gates, even the simplest ones, may be indispensable for catalysis and the gating event can even represent the rate-limiting step of the catalytic cycle. establishment of methodology for fast and accurate identification of gating and anchoring residues.  We aim to build a prototype of the enzyme in which we can the activity switch on and off on request, or activate activity in a particular part of the living cell. Project Partner – Loschmidt Laboratory, Brno, Czech Republic. Enzymes are versatile proteins which catalyse most of reactions within the body. The structure of enzymes was optimised to perform catalysed reactions efficiently, with high activity and selectivity, during natural evolution. At the end of XIX century, the key-lock mechanism was proposed to explain the outstanding performance of enzymes. Specifically, close fitting of the substrate molecule (key) to the active centre of the enzyme (lock) was introduced to describe enzymatic properties. This simply and elegant theory works successfully in popular science until today, yet it fails when the active site is hidden deep within the protein core. 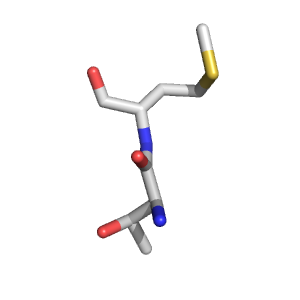 Such enzymes, widely spread throughout the protein world, are equipped with tunnels possessing properties which can regulate the activity and selectivity of enzymes. These additional constraints provide an opportunity for control of reactivity and make enzymes with buried active sites ideal candidates for industrial and medical applications. Most of the strategies proposed for enzyme redesign are focused on reengineering the vicinity of the active site. Such methods often result in loss of enzyme activity due to the rearrangement of residues that are crucial for the enzyme’s catalytic properties. Modification of the residues that build tunnels can provide a safe alternative to existing protein design protocols; however this requires a deep understanding of the transport phenomena through the tunnel network. Unfortunately due to the lack of experimental methods that can explore ligand transportation inside the protein core, the task of modifying tunnel residues is quite difficult to achieve. To overcome challenges in this project we are employing a combination of modern computational tools which can visualize the protein exits and substrate entry points into the buried active site. State of the art methodology will be used to support experimentalists and to precisely describe ligand transportation phenomena. Due to the grouping of studied ligands into set of 30 different compounds we will identify subtle differences responsible for enzyme selectivity to aid our models. 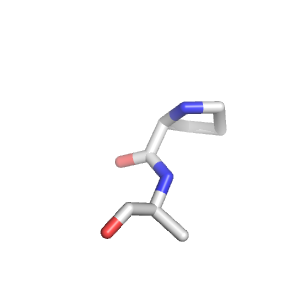 Moreover to facilitate our research we have constructed an enzyme equipped with a switch located inside the tunnel. By changing reduction-oxidation conditions we are able to open or close the tunnel. 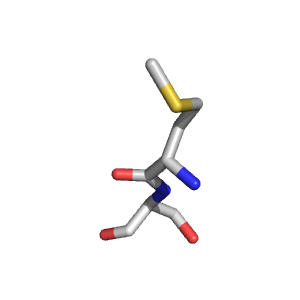 This enzyme can be viewed as a prototype of a future enzyme in which the activity can be switched on/off on request or activated in a particular part of the living cell. During the project we will validate the possibility of our system grafting into other enzymes and the possibility of additional switch modifications to enhance control. Our project is proceeding in cooperation with one of the best protein engineering groups – the Loschmidt Laboratory in Brno in Czech Republic – where most of the experimental work will be carried out. We aim to investigate molecular basis of the clinically observed correlations in patient response to cancer treatment by deep analysis of the influence of particular mutations into functionality of proteins involved in drug metabolism. Single Nucleotide Polymorphisms (SNPs) are DNA sequence variations that can lead to the changes in the amino acid sequence of the coded protein (nonsynonymous SNPs). Such mutations can result in changes that are well tolerated in organism. However, they might play important role in specific circumstances, e.g. during intensive clinical therapy, affecting patient response to the treatment. The current research on genetic polymorphisms apply statistical approaches to existing databases of various experimental data predominantly. Various high-throughput sequencing methods were applied to identify non-synonymous variants in the human genome and several databases were constructed to collect and examine the relationship between human genome sequence variation and the associated disease phenotypes. As a consequence a huge number of bioinformatics approaches were developed to predict functional and structural consequences of the SNPs. The quality of such an approach and the accuracy of the results corresponds to the quality of the collected observables and the database uniformity. In our project we are exploring parallel path of genetic polymorphisms study – we aim to investigate molecular basis of the clinically observed correlations in patient response to cancer treatment by deep analysis of the influence of particular mutations into functionality of proteins involved in drug metabolism. Our aim is to propose modifications in treatment scheme leading to personalised medicine based on individual genetic pattern of the patient. Past contributions of our team members. 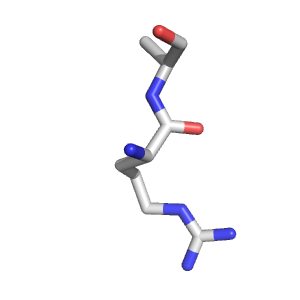 Protein engineering can be applied for tailoring of naturally evolved enzymes. Modifications introduced to the residues forming the first or second shell of an active site currently represent the most common strategy for enzyme redesign. 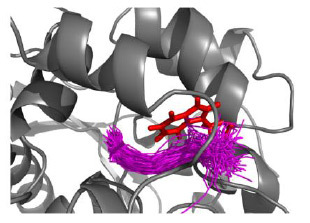 Recent project presents an example of engineering of substrate specificity of haloalkane dehalogenase by targeting the residues of their access tunnels. Protein design was based on computational approach, with combination of QM/MM methods, MD and RAMD simulations, docking and software for tunnels detection (CAVER). Predicted mutants were constructed and their properties were analyzed by several experimental methods. The haloalkane dehalogenases are the family of enzymes with buried active sites. Their activity and selectivity reflect the properties of the active site as well as substrate/product transport pathways. Project explores possibility of tunnels re-engineering in bacterial enzymes haloalkane dehalogenases. Based on the analysis carried out, new mutants of haloalkane dehalogenases LinB and DatA were designed with improved catalytic properties (activity and selectivity). Work provides evidence that careful redesign of access pathways represents a powerful strategy for the precise control of activity and selectivity of enzymes. B. Kozlikova, E. Sebestova, V. Sustr, J. Brezovsky, O. Strnad, L. Daniel, D. Bednar, A. Pavelka, M. Manak, M. Bezdeka, P. Benes, M. Kotry, A. Gora, J. Damborsky, and J. Sochor, “CAVER Analyst 1.0: graphic tool for interactive visualization and analysis of tunnels and channels in protein structures,” Bioinforma. Oxf. Engl., vol. 30, no. 18, pp. 2684–2685, Sep. 2014. A. Gora, J. Brezovsky, and J. Damborsky, “Gates of Enzymes,” Chem. Rev., vol. 113, no. 8, pp. 5871–5923, 2013. K. Hasan, A. Gora, J. Brezovsky, R. Chaloupkova, H. Moskalikova, A. Fortova, Z. Prokop, J. Damborsky – “Effect of Unique Halide-Stabilising Residue on the Catalytic Properties of Haloalkane Dehalogenase DatA from Agrobacterium tumefaciens C58” – FEBS J., vol. 280, no. 13, pp. 3149–3159, July 2013.  Storage of hydrogen in the form of chemical compounds can be an attractive alternative to traditional methods due to both economic and safety issue. One of the problems that still need to be solved is dehydrogenation of compounds and hydrogen recovery from storage compounds. The project aim development of methodology for easy hydrogen recovery and separation. By the use of catalysts combined with modern membranes of high durability in low temperatures. The use of compounds such as toluene (TOL), has been already shown to be potentially feasible for hydrogen storage for both mobile and stationary applications. The reversible reaction of dehydrogenation of MCH to toluene, and in general all dehydrogenation reactions of paraffins to aromatic compounds, is highly endothermic and strongly limited by thermodynamic equilibrium. 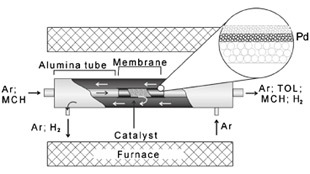 The ability of the catalyst placed inside membrane tube combined with the selectivity of hydrogen permeation through the membrane makes it possible to remove hydrogen and thereby shift the reaction towards the product side. Careful study allow me to confirm high durability and stability of pore filled type of palladium membrane in reaction conditions in the low temperature range (100-300ºC). The new composition of membrane and location of palladium grains inside pores of ? alumina intermediate layer allowed to use palladium membranes in such drastic conditions without losing their selectivity. So far there was no any other reported information about membrane working in temperature below 300ºC for such a long time. 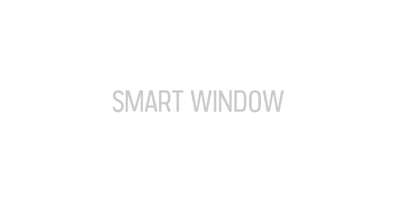 Electrochromic devices can find application in “smart windows” fabrication, windows which are able to decrease the use of electricity consumption for air conditioning. The project aim investigations of the tungsten oxides role in the colorizing and blanching phenomena. By theoretical methods (quantum chemical calculations – TD-DFT). Electrochromic devices can find application in “smart windows” fabrication, windows which are able to decrease the use of electricity consumption for air conditioning. The purpose of the research was to investigate the mechanism of WO3 layer colorizing and blanching phenomena. To achieve this, the mechanism of Li ion transfer and its intercalation into WO3 bulk structure was studied by using advanced theoretical tools (TD-DFT methodology). Nitric oxides are important air pollutants. Vanadium-tungsten catalysts are commercially used for selective catalytic reduction (SCR) of NOx by ammonia, however the role of tungsten is unclear. The project aim investigations of the tungsten role in the increasing of the catalyst activity in low temperatures. By the combination of experimental (TEM, Raman spectroscopy, vacuum equipment, GC/MS) and theoretical (quantum chemical calculations – DFT) methods. Vanadium-tungsten catalysts are commercially used for selective catalytic reduction (SCR) of NOx by ammonia. The role of tungsten in decreasing of the onset temperature of the SCR of NOx remains unclear up to now. This role seems to be essential for better understanding of the catalyzed reaction and future development of more efficient catalysts. To clarify this, I have i) studied the interaction of water molecule with vanadia-tungsten catalyst surface and the creation of new active centers for SCR process by FT Raman spectroscopy and quantum chemical (DFT) modeling ii) successfully synthetized highly active vanadium-tungsten catalysts for SCR of NOx by NH3 by the use of sol-gel method. Extensive calculations for cluster models of active sites on the catalyst surface and their interaction with small substrate molecules showed possibility of the use of water molecules as a probe of acid-base properties of Lewis and Brønsted surface centers. A. Gora, E. Broclawik, “Dissociation of the Water Molecule on the V-W-O Catalyst Surface – Quantum Chemical Modeling”, Polish Journal of Environmental Studies, 2000; 9(1):31-34. M. Najbar, A. Bialas, F. Mizukami, A. Weselucha-Birczynska, E. Bielanska, A. Gora, “Vanadia-Tungsta DENOX Catalysts on High Surface Area Rutile”, Polish Journal of Environmental Studies, 1997; 6:83-88. Last publication: Biomolecules 2018, 8(4) 143. Several different approaches are used to describe the role of protein compartments and residues in catalysis and to identify key residues suitable for the modification of the activity or selectivity of the desired enzyme. In our research, we applied a combination of molecular dynamics simulations and a water tracking approach to describe the water accessible volume of Solanum tuberosum epoxide hydrolase. Using water as a molecular probe, we were able to identify small cavities linked with the active site: (i) one made up of conserved amino acids and indispensable for the proper positioning of catalytic water and (ii) two others in which modification can potentially contribute to enzyme selectivity and activity. Additionally, we identified regions suitable for de novo tunnel design that could also modify the catalytic properties of the enzyme. The identified hot-spots extend the list of the previously targeted residues used for modification of the regioselectivity of the enzyme. Finally, we have provided an example of a simple and elegant process for the detailed description of the network of cavities and tunnels, which can be used in the planning of enzyme modifications and can be easily adapted to the study of any other protein. Background: Here, we present an R package for entropy/variability analysis that facilitates prompt and convenient data extraction, manipulation and visualization of protein features from multiple sequence alignments. 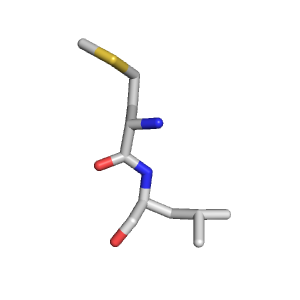 BALCONY can work with residues dispersed across a protein sequence and map them on the corresponding alignment of homologous protein sequences. Additionally, it provides several entropy and variability scores that indicate the conservation of each residue. Results: Our package allows the user to visualize evolutionary variability by locating the positions most likely to vary and to assess mutation candidates in protein engineering. Conclusion: In comparison to other R packages BALCONY allows conservation/variability analysis in context of protein structure with linkage of the appropriate metrics with physicochemical features of user choice. 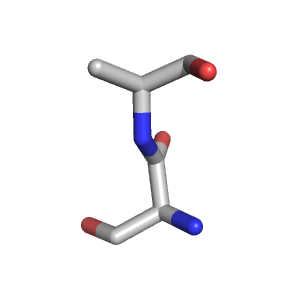 Availability: CRAN project page: https://cran.r-project.org/package=BALCONY and our website: http://www.tunnelinggroup.pl/software/ for major platforms: Linux/Unix, Windows and Mac OS X.
D-amino acid oxidase (DAAO) degrades D-amino acids to produce α-ketoacids, hydrogen peroxide and ammonia. DAAO has often been investigated and engineered for industrial and clinical applications. We combined information from literature with a detailed analysis of the structure to engineer mammalian DAAOs. The structural analysis was complemented with molecular dynamics simulations to characterize solvent accessibility and product release mechanisms. 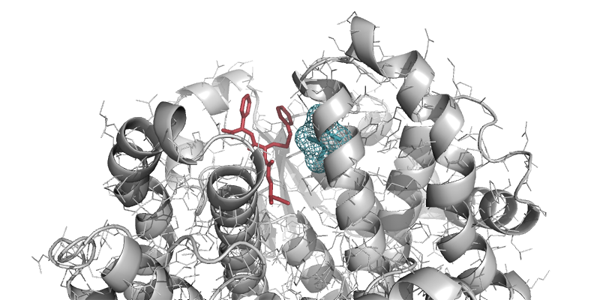 We identified non-obvious residues located on the loops on the border between the active site and the secondary binding pocket essential for pig and human DAAO substrate specificity and activity. We engineered DAAOs by mutating such critical residues and characterised the biochemical activity of the resulting variants. 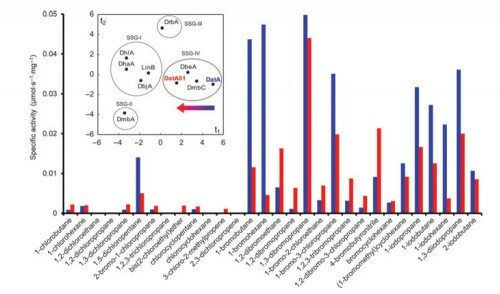 The results highlight the importance of the selected residues in modulating substrate specificity, product egress and enzyme activity, suggesting further steps of DAAO re-engineering towards desired clinical and industrial applications. Motivation:The identification and tracking of molecules which enter active site cavity requires screening the positions of thousands of single molecules along several thousand molecular dynamic steps. To fill the existing gap between tools searching for tunnels and pathways and advanced tools employed for accelerated water flux investigations, we have developed AQUA-DUCT. 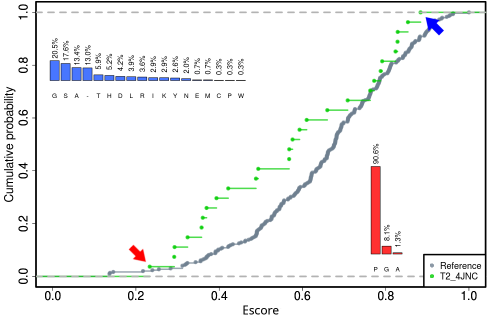 Results: AQUA-DUCT is an easy-to-use tool that facilitates analysis of the behaviour of molecules that penetrate any selected region in a protein. It can be used for any type of molecules e.g., water, oxygen, carbon dioxide, organic solvents, ions. The available copy of paper is a pre-copyedited, author-produced version of an article accepted for publication in Bioinformatics following peer review. The version of record Bioinformatics (2017) 33 (13): 2045-2046. is available online at: https://academic.oup.com/bioinformatics/article-abstract/doi/10.1093/bioinformatics/btx125/3059930/AQUA-DUCT-a-ligands-tracking-tool?redirectedFrom=fulltext DOI: 10.1093/bioinformatics/btx125. Transport of ligands between buried active sites and bulk solvent is a key step in the catalytic cycle of many enzymes. Absence of evolutionary optimized transport tunnels is an important barrier limiting the efficiency of biocatalysts prepared by computational design. Creating a structurally defined and functional “hole” into the protein represents an engineering challenge. Here we describe the computational design and directed evolution of a de novo transport tunnel in haloalkane dehalogenase. Mutants with a blocked native tunnel and newly opened auxiliary tunnel in a distinct part of the structure showed dramatically modified properties. The mutants with blocked tunnels acquired specificity never observed with native family members, up to 32-times increased substrate inhibition and 17-times reduced catalytic rates. Opening of the auxiliary tunnel resulted in specificity and substrate inhibition similar to the native enzyme, and the most proficient haloalkane dehalogenase reported to date (kcat = 57 s-1 with 1,2-dibromoethane at 37oC and pH=8.6). Crystallographic analysis and molecular dynamics simulations confirmed successful introduction of structurally defined and functional transport tunnel. Our study demonstrates that whereas we can open the transport tunnels with reasonable proficiency, we cannot accurately predict the effects of such change on the catalytic properties. We propose that one way to increase efficiency of an enzyme is the direct its substrates and products into spatially distinct tunnels. The results clearly show the benefits of enzymes with de novo transport tunnels and we anticipate that this engineering strategy will facilitate creation of a wide range of useful biocatalysts. The relationship between the structure and a property of a chemical compound is an essential concept in chemistry guiding, for example, drug design. Actually, however, we need economic considerations to fully understand the fate of drugs on the market. We are performing here for the first time the exploration of quantitative structure-economy relationships (QSER) for a large dataset of a commercial building block library of over 2.2 million chemicals. This investigation provided molecular statistics that shows that on average what we are paying for is the quantity of matter. On the other side, the influence of synthetic availability scores is also revealed. Finally, we are buying substances by looking at the molecular graphs or molecular formulas. Thus, those molecules that have a higher number of atoms look more attractive and are, on average, also more expensive. Our study shows how data binning could be used as an informative method when analyzing big data in chemistry. C. Yang, A. Tarkhov, J. Marusczyk, B. Bienfait, J. Gasteiger, T. Kleinoeder, T. Magdziarz, O. Sacher, C. H. Schwab, J. Schwoebel, L. Terfloth, K. Arvidson, A. Richard, A. Worth, and J. Rathman, “New Publicly Available Chemical Query Language, CSRML, To Support Chemotype Representations for Application to Data Mining and Modeling,” J. Chem. Inf. Model., vol. 55, no. 3, pp. 510–528, Mar. 2015. Chemotypes are a new approach for representing molecules, chemical substructures and patterns, reaction rules, and reactions. Chemotypes are capable of integrating types of information beyond what is possible usin g current representation methods (e.g., SMARTS patterns) or reaction transformations (e.g., SMIRKS, reaction SMILES). Chemotypes are expressed in the XML-based Chemical Subgraphs and Reactions Markup Language (CSRML), and can be encoded not only with connectivity and topology but also with properties of atoms, bonds, electronic systems, or molecules. CSRML has been developed in parallel with a public set of chemotypes, i.e., the ToxPrint chemotypes, which are designed to provide excellent coverage of environmental, regulatory, and commercial-use chemical space, as well as t represent chemical patterns and properties especially relevant to various toxicity concerns. 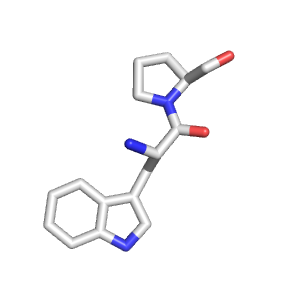 A software application, ChemoTyper has also been developed and made publicly available in order to enable chemotype searching and fingerprinting against a target structure set. 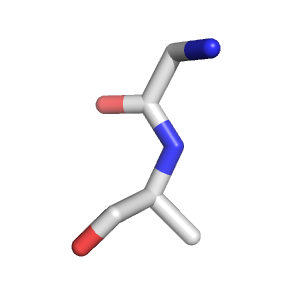 The public ChemoTyper houses the ToxPrint chemotype CSRML dictionary, as well as reference implementation so that the query specifications may be adopted by other chemical structure knowledge systems. The full specifications of the XML-based CSRML standard used to express chemotypes are publicly available to facilitate and encourage the exchange of structural knowledge. F. Sanz, P. Carrió, O. López, L. Capoferri, D. P. Kooi, N. P. E. Vermeulen, D. P. Geerke, F. Montanari, G. F. Ecker, C. H. Schwab, T. Kleinöder, T. Magdziarz, and M. Pastor, “Integrative Modeling Strategies for Predicting Drug Toxicities at the eTOX Project,” Mol. Inform., p. n/a–n/a, Jun. 2015. Early prediction of safety issues in drug development is at the same time highly desirable and highly challenging. Re cent advances emphasize the importance of understanding the whole chain of causal events leading to observable toxic outcomes. Here we describe an integrative modeling strategy based on these ideas that guided the design of eTOXsys, the prediction system used by the eTOX project. Essentially, eTOXsys consists of a central server that marshals requests to a collection of independent prediction models and offers a single user interface to the whole system. Every of such model lives in a self-contained virtual machine easy to maintain and install. All models produce toxicity-relevant predictions on their own but the results of some can be further integrated and upgrade its scale, yielding in vivo toxicity predictions. Technical aspects related with model implementation, maintenance and documentation are also discussed here. Finally, the kind of models currently implemented in eTOXsys is illustrated presenting three example models making use of diverse methodology (3D-QSAR and decision trees, Molecular Dynamics simulations and Linear Interaction Energy theory, and fingerprint-based QSAR). B. Kozlikova, E. Sebestova, V. Sustr, J. Brezovsky, O. Strnad, L. Daniel, D. Bednar, A. Pavelka, M. Manak, M. Bezdeka, P. Benes, M. Kotry, A. Gora, J. Damborsky, and J. Sochor, “CAVER Analyst 1.0: graphic tool for interactive visualization and analysis of tunnels and channels in protein structures,” Bioinforma. Oxf. Engl., vol. 30, no. 18, pp. 2684–2685, Sep. 2014 ARTICLE. 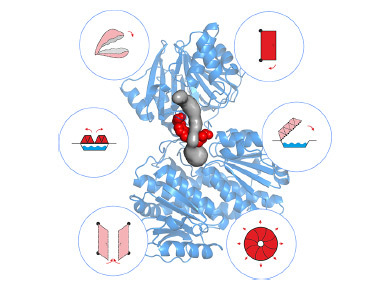 The transport of ligands, ions or solvent molecules into proteins with buried binding sites or through the membrane is enabled by protein tunnels and channels. 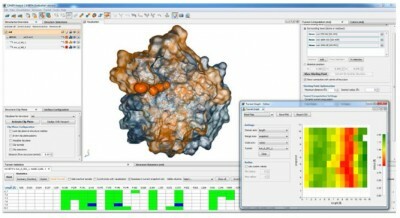 CAVER Analyst is a software tool for calculation, analysis and real-time visualization of access tunnels and channels in static and dynamic protein structures. It provides an intuitive graphic user interface for setting up the calculation and interactive exploration of identified tunnels/channels and their characteristics. B. Łozowicka, P. Kaczyński, T. Magdziarz, and A. T. Dubis, “Synthesis, antifeedant activity against Coleoptera and 3D QSAR study of alpha-asarone derivatives,” SAR QSAR Environ. Res., vol. 25, no. 3, pp. 173–188, Mar. 2014. For the first time, a set of 56 compounds representing structural derivatives of naturally occurring alpha-asarone as an antifeedants against stored product pests Sitophilus granarius L., Trogoderma granarium Ev., and Tribolium confusum Duv., were subjected to the 3D QSAR studies. 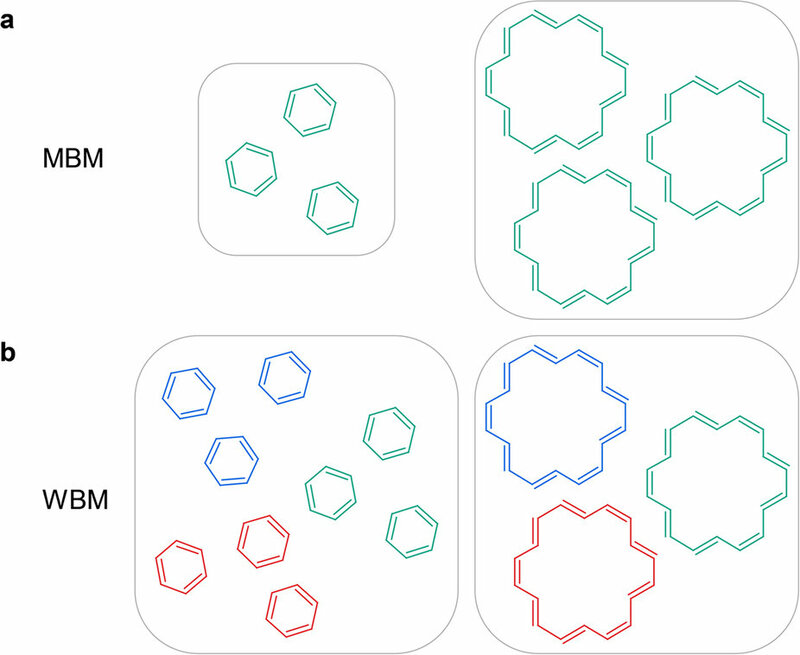 Three-dimensional quantitative structure–activity relationships (3D-QSAR) for 56 compounds, including 15 newly synthesized, were performed using comparative molecular field analysis s-CoMFA and SOM-CoMSA techniques. QSAR was conducted based on a combination of biological activity (against Coleoptera larvae and beetles) and various geometrical, topological, quantum-mechanical, electronic, and chromatographic descriptors. The CoMSA formalism coupled with IVE (CoMSA–IVE) allowed us to obtain highly predictive models for Trogoderma granarium Ev. larvae. We have found that this novel method indicates a clear molecular basis for activity and lipophilicity. This investigation will facilitate optimization of the design of new potential antifeedants. A. Bak, M. Wyszomirski, T. Magdziarz, A. Smolinski, and J. Polanski, “Structure-Based Modeling of Dye-Fiber Affinity with SOM-4D-QSAR Paradigm: Application to Set of Anthraquinone Derivatives,” Comb. Chem. High Throughput Screen., vol. 17, no. 6, pp. 485–502, 2014. A comparative structure-affinity study of anthraquinone dyes adsorption on cellulose fibre is presented in this paper. We used receptor-dependent 4D-QSAR methods based on grid and neural (SOM) methodology coupled with IVEPLS procedure. The applied RD 4D-QSAR approach focuses mainly on the ability of mapping dye properties to verify the concept of tinctophore in dye chemistry. Moreover, the stochastic SMV procedure to investigate the predictive ability of the method for a large population of 4D-QSAR models was employed. 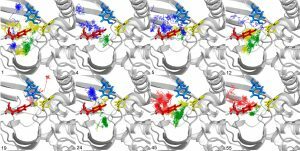 The obtained findings were compared with the previously published RI 3D/4D-QSAR models for the corresponding anthraquinone trainings sets. The neutral (protonated) and anionic (deprotonated) forms of anthraquinone scaffold were examined in order to deal with the uncertainty of the dye ionization state. The results are comparable to both the neutral and anionic dye sets regardless of the occupancy and charge descriptors applied, respectively. It is worth noting that the SOM-4D-QSAR behaves comparably to the cubic counterpart which is observed in each training/test subset specification (4D-QSAR-Jo vs SOM- 4D-QSARo and 4D-QSAR-Jq vs SOM-4D-QSARq). Additionally, an attempt was made to specify a common set of variables contributing significantly to dye-fiber binding affinity; it was simultaneously performed for some arbitrary chosen SMV models. The presented RD 4D-QSAR methodology together with IVE-PLS procedure provides a robust and predictive modeling technique, which facilitates detailed specification of the molecular motifs significantly contributing to the fiber-dye affinity. 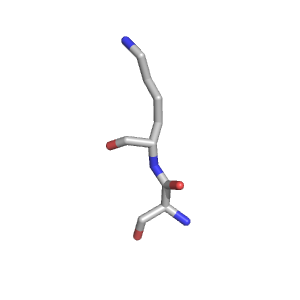 A. Bak, T. Magdziarz, A. Kurczyk, K. Serafin, and J. Polanski, “Probing a Chemical Space for Fragmental Topology-Activity Landscapes (FRAGTAL): Application for Diketo Acid and Catechol HIV Integrase Inhibitor Offspring Fragments,” Comb. Chem. High Throughput Screen., vol. 16, no. 4, pp. 274–287, 2013. Fragmental topology-activity landscapes (FRAGTAL), a new concept for encoding molecular descriptors for fragonomics into the framework of the molecular database records is presented in this paper. Thus, a structural repository containing biological activity data was searched in a substructure mode by a series of molecular fragments constructed in an incremental or decremental manner. 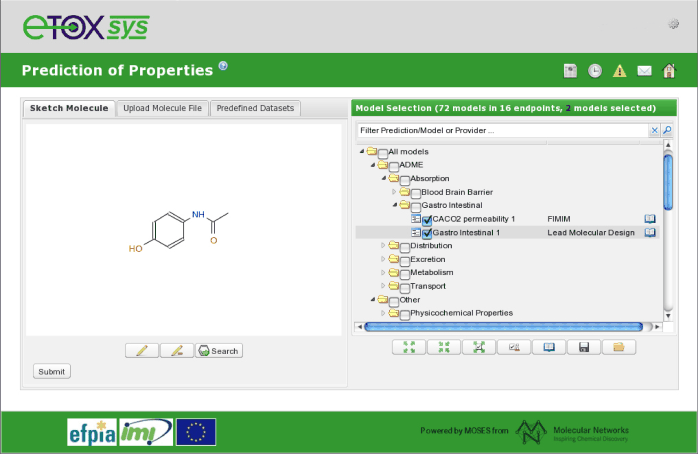 The resulted series of database hits annotated with their activities construct FRAGTAL descriptors encoding a frequency of the certain fragments among active compounds and/or their activities. Actually, this method might be interpreted as a simplified adaptation of the frequent subgraph mining (FSM) method. 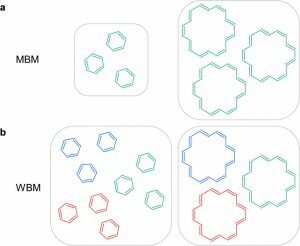 The FRAGTAL method reconstructs the way in which medicinal chemists are used to designing a prospective drug structure intuitively. A representative example of the practical application of FRAGTAL within the ChemDB Anti-HIV/OI/TB database for disclosing new fragments for HIV-1 integrase inhibition is discussed. In particular, FRAGTAL method identifies ethyl malonate amide (EMA) as the diketo acid (DKA) related arrangement. 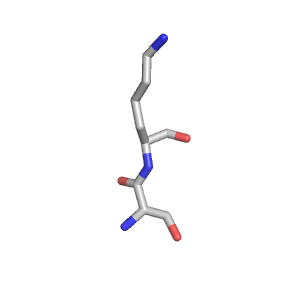 Since new molecular constructs based on the EMA fragment are still a matter of future investigations we referred to this as anthe DKA offspring. K. Hasan, A. Gora, J. Brezovsky, R. Chaloupkova, H. Moskalikova, A. Fortova, Y. Nagata, J. Damborsky, and Z. Prokop, “The effect of a unique halide-stabilizing residue on the catalytic properties of haloalkane dehalogenase DatA from Agrobacterium tumefaciens C58,” FEBS J., vol. 280, no. 13, pp. 3149–3159, July 2013. Haloalkane dehalogenases catalyse the hydrolysis of carbon-halogen bonds in various chlorinated, brominated and iodinated compounds. These enzymes have a conserved pair of halide-stabilising residues that are important in substrate binding and stabilisation of the transition state and the halide ion product via hydrogen bonding. In all previously known haloalkane dehalogenase, these residues are either a pair of tryptophans or a tryptophan-asparagine pair. 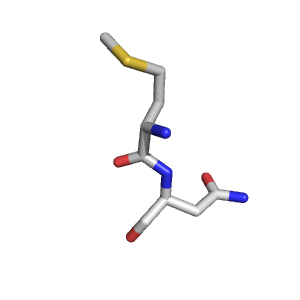 The newly isolated haloalkane dehalogenase DatA from Agrobacterium tumefaciens C58 possesses a unique halide-stabilising tyrosine residue, Y109, in place of the conventional tryptophan. 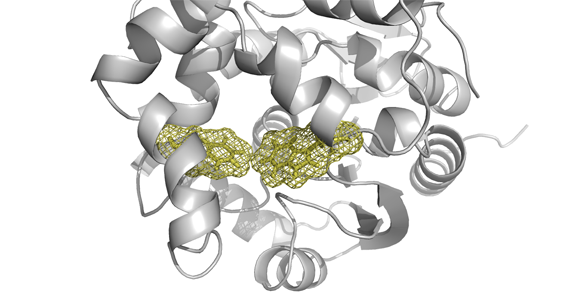 A variant of DatA with the Y109W mutation was created and the effects of this mutation on the enzyme’s structure and catalytic properties were studied using spectroscopy and pre-steady-state kinetic experiments. Quantum mechanical and molecular dynamics calculations were used to obtain a detailed analysis of the hydrogen bonding patterns within the active sites of the wild-type and the mutant, and of the stabilisation of the ligands as the reaction proceeds. 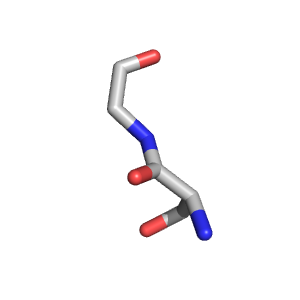 Fluorescence quenching experiments suggested that replacing the tyrosine with tryptophan improves halide binding 3.7-fold, presumably due to the introduction of an additional hydrogen bond. Kinetic analysis revealed that the mutation affected the enzyme’s substrate specificity and reduced its K0.5 for selected halogenated substrates by a factor of 2-4, without impacting the rate-determining hydrolytic step. 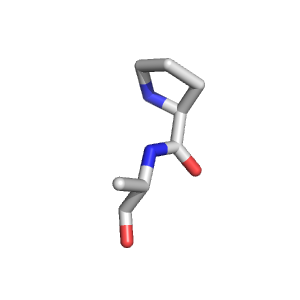 We conclude that DatA is the first natural haloalkane dehalogenase that stabilises its substrate in the active site using only a single hydrogen bond, which is a new paradigm in catalysis by this enzyme family. Protein structures contain highly complex systems of voids, making up specific features such as surface clefts or grooves, pockets, protrusions, cavities, pores or channels, and tunnels. Many of them are essential for the migration of solvents, ions and small molecules through proteins, and their binding to the functional sites. Analysis of these structural features is very important for understanding of structure-function relationships, for the design of potential inhibitors or proteins with improved functional properties. Here we critically review existing software tools specialized in rapid identification, visualization, analysis and design of protein tunnels and channels. The strengths and weaknesses of individual tools are reported together with examples of their applications for the analysis and engineering of various biological systems. This review can assist users with selecting a proper software tool for study of their biological problem as well as highlighting possible avenues for further development of existing tools. Development of novel descriptors representing not only geometry, but also electrostatics, hydrophobicity or dynamics, is needed for reliable identification of biologically relevant tunnels and channels. 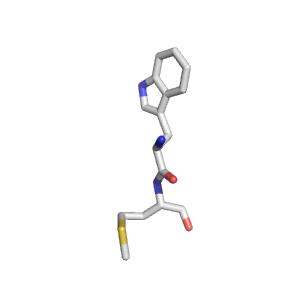 A. Bak, T. Magdziarz, and J. Polanski, “Pharmacophore-based database mining for probing fragmental drug-likeness of diketo acid analogues,” SAR QSAR Environ. Res., vol. 23, no. 1–2, pp. 185–204, 2012. 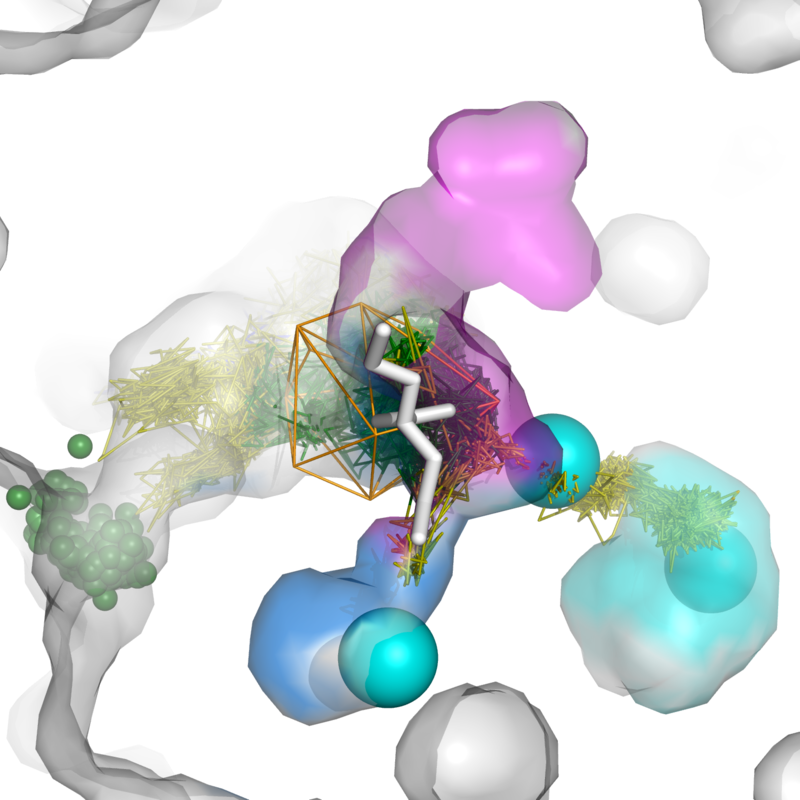 Many enzymes have buried active sites. The properties of the tunnels connecting the active site with bulk solvent affect ligand binding and unbinding and also the catalytic properties. 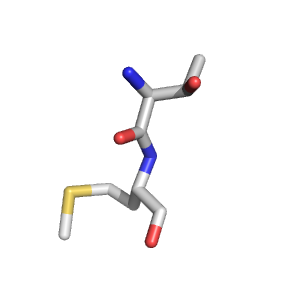 Here, we investigate ligand passage in the haloalkane dehalogenase enzyme LinB and the effect of replacing leucine by a bulky tryptophan at a tunnel-lining position. Transient kinetic experiments show that the mutation significantly slows down the rate of product release. Moreover, the mechanism of bromide ion release is changed from a one-step process in the wild type enzyme to a two-step process in the mutant. The rate constant of bromide ion release corresponds to the overall steady-state turnover rate constant, suggesting that product release became the rate-limiting step of catalysis in the mutant. We explain the experimental findings by investigating the molecular details of the process computationally. 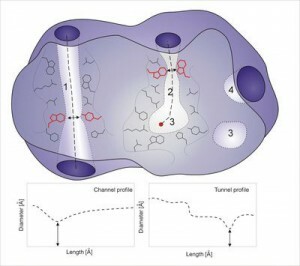 Analysis of trajectories from molecular dynamics simulations with a tunnel detection software reveals differences in the tunnels available for ligand egress. Corresponding differences are seen in simulations of product egress using a specialized enhanced sampling technique. The differences in the free energy barriers for egress of a bromide ion obtained using potential of mean force calculations are in good agreement with the differences in rates obtained from the transient kinetic experiments. Interactions of the bromide ion with the introduced tryptophan are shown to affect the free energy barrier for its passage. The study demonstrates how the mechanism of an enzymatic catalytic cycle and reaction kinetics can be engineered by modification of protein tunnels. Tunnels and channels facilitate the transport of small molecules, ions and water solvent in a large variety of proteins. Characteristics of individual transport pathways, including their geometry, physico-chemical properties and dynamics are instrumental for understanding of structure-function relationships of these proteins, for the design of new inhibitors and construction of improved biocatalysts. 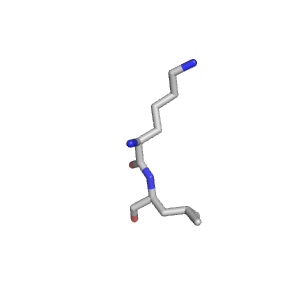 CAVER is a software tool widely used for the identification and characterization of transport pathways in static macromolecular structures. Herein we present a new version of CAVER enabling automatic analysis of tunnels and channels in large ensembles of protein conformations. CAVER 3.0 implements new algorithms for the calculation and clustering of pathways. A trajectory from a molecular dynamics simulation serves as the typical input, while detailed characteristics and summary statistics of the time evolution of individual pathways are provided in the outputs. 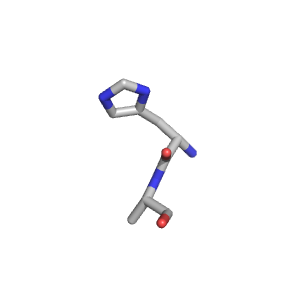 To illustrate the capabilities of CAVER 3.0, the tool was applied for the analysis of molecular dynamics simulation of the microbial enzyme haloalkane dehalogenase DhaA. CAVER 3.0 safely identified and reliably estimated the importance of all previously published DhaA tunnels, including the tunnels closed in DhaA crystal structures. Obtained results clearly demonstrate that analysis of molecular dynamics simulation is essential for the estimation of pathway characteristics and elucidation of the structural basis of the tunnel gating. 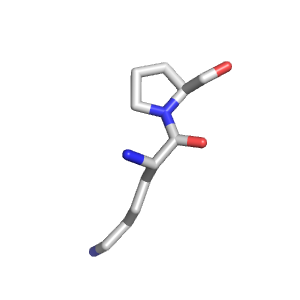 CAVER 3.0 paves the way for the study of important biochemical phenomena in the area of molecular transport, molecular recognition and enzymatic catalysis. The software is freely available as a multiplatform command-line application at http://www.caver.cz. 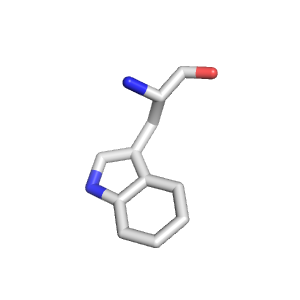 R. Musiol, T. Magdziarz, and A. Kurczyk, “Quinoline scaffold as a privileged substructure in antimicrobial drugs,” Sci. Microb. Pathog. Commun. Curr. Res. Technol. Adv. Badajoz Spain Formatex, pp. 72–83, 2011. 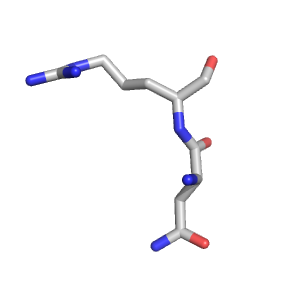 A. Bak, T. Magdziarz, A. Kurczyk, and J. Polanski, “Mapping fragmental drug-likeness in the MoStBioDat environment: intramolecular hydrogen bonding motifs in β-ketoenols,” Comb. Chem. High Throughput Screen., vol. 14, no. 7, pp. 560–569, 2011. A. Bak, T. Magdziarz, A. Kurczyk, and J. Polanski, “Mapping drug architecture by MoStBioDat: rapid screening of intramolecular hydrogen bonded motifs in catechols,” Drug Dev. Res., vol. 72, no. 2, pp. 209–218, 2011. P. Mazur, T. Magdziarz, A. Bak, Z. Chilmonczyk, T. Kasprzycka-Guttman, I. Misiewicz-Krzemińska, K. Skupińska, and J. Polanski, “Does molecular docking reveal alternative chemopreventive mechanism of activation of oxidoreductase by sulforaphane isothiocyanates?,” J. Mol. Model., vol. 16, no. 7, pp. 1205–1212, 2010. T. Magdziarz, P. Mazur, and J. Polanski, “Receptor independent and receptor dependent CoMSA modeling with IVE-PLS: application to CBG benchmark steroids and reductase activators,” J. Mol. Model., vol. 15, no. 1, pp. 41–51, 2009. A. Gora and E. Broclawik, “Mechanism of hydrogen abstraction by O- species in oxidative dehydrogenation of early alkanes: Propane, ethane and methane. Model theoretical DFT study,” Pol. J. Chem., vol. 82, pp. 1779–1791, 2008. J. Polanski, A. Bak, R. Gieleciak, and T. Magdziarz, “Modeling robust QSAR.,” J. Chem. Inf. Model., vol. 46, no. 6, pp. 2310–8, 2006. T. Magdziarz, B. \Lozowicka, R. Gieleciak, A. Bąk, J. Polański, and Z. Chilmonczyk, “3D QSAR study of hypolipidemic asarones by comparative molecular surface analysis,” Bioorg. Med. Chem., vol. 14, no. 5, pp. 1630–1643, 2006. Selective removal of hydrogen by the palladium membrane of novel configuration shifts the equilibrium in the dehydrogenation of methylcyclohexane allowing a continuous operation at below the critical temperature of palladium α–β phase transition. E. Broclawik, A. Gora, P. Liguzinski, P. Petelenz, and H. A. Witek, “Quantum chemical modeling of electrochromism of tungsten oxide films,” J. Chem. Phys., vol. 124, 2006. R. Gieleciak, T. Magdziarz, A. Bak, and J. Polanski, “Modeling Robust QSAR. 1. 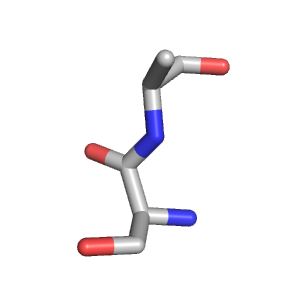 Coding Molecules in 3D-QSAR from a Point to Surface Sectors and Molecular Volumes,” J. Chem. Inf. Model., vol. 45, no. 5, pp. 1447–1455, Sep. 2005. J. Polanski, R. Gieleciak, T. Magdziarz, and A. Bak, “GRID formalism for the comparative molecular surface analysis: application to the CoMFA benchmark steroids, azo dyes, and HEPT derivatives,” J. Chem. Inf. Comput. Sci., vol. 44, no. 4, pp. 1423–1435, 2004. 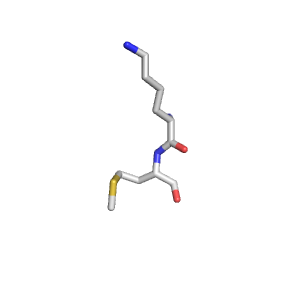 J. Polanski, A. Bak, R. Gieleciak, and T. Magdziarz, “Self-organizing neural networks for Modeling robust 3D and 4D QSAR: Application to dihydrofolate reductase inhibitors,” Molecules, vol. 9, no. 12, pp. 1148–1159, 2004. 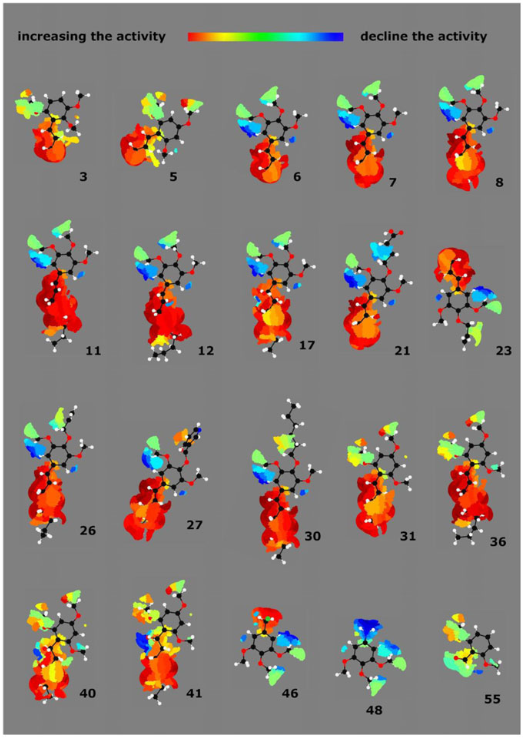 J. Polański, H. Niedba\la, R. Musio\l, D. Tabak, B. Podeszwa, R. Gieleciak, A. Bak, A. Pa\lka, and T. Magdziarz, “Analogues of the styrylquinoline and styrylquinazoline HIV-1 integrase inhibitors: design and synthetic problems.,” Acta Pol. Pharm., vol. 61, pp. 3–4, 2004. A. Eilmes, R. W. Munn, V. G. Mavrantzas, D. N. Theodorou, and A. Gora, “Microscopic calculation of the static electric susceptibility of polyethylene,” J. Chem. Phys., vol. 119, pp. 11458–11466, 2003. A. Eilmes, R. W. Munn, and A. Gora, “Microscopic calculation of the energetics of ions in polyethylene,” J. Chem. Phys., vol. 119, pp. 11467–11474, 2003. Gora, A., Brezovsky, J. & Damborsky, J., Computer-assisted enzyme engineering by modification of tunnels, channels and gates. Current Opinion in Biotechnology vol 22, supplement 1 September 2011. Gora, A., Pacheco Tanaka, D. A., Mizukami, F. & Suzuki, T. M., Low temperature hydrogen recovering from organic storage compounds – application of pore fill type palladium membrane. Proceedings of International Conference and Exhibition on Green Chemistry, 18-21 IX 2006 Kuala Lumpur, Malaysia, 2006. Gora, A. & Brocławik E. Dissociation of the Water Molecule on the V-W-O Catalyst Surface – Quantum Chemical Modeling. Polish Journal of Environmental Studies, 9(1), 31-34, 2000. Najbar M., Białas A., Mizukami F., Wesełucha-Birczyńska A., Bielańska E. & Gora A. Vanadia-Tungsta DENOX Catalysts on High Surface Area Rutile. Polish Journal of Environmental Studies, 6, 83-8, 1997. Prokop Z, Gora A, Brezovsky J, Chalupkova R, Stepankova V & Damborsky J Protein Engineering Handbook, Volume 3: Book chapter: Engineering of protein tunnels: Keyhole-lock-key model for catalysis by the enzymes with buried active sites – ISBN 978-3-527-33123-9 – Wiley-VCH, Weinheim. US Patent No 13/604,094 “Method of thermostabilization of a protein and/or stabilization towards organic solvents” Jiri Damborsky, Zbynek Prokop, Tana Koudelakova, Veronika Stepankova, Radka Chaloupkova, Eva Chovancova, Artur Wiktor Gora, Jan Brezovsky. Information about software developed in our group. 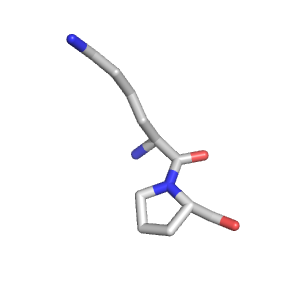 BALCONY is an R package that facilitates the evolutionary analysis and check the variability of selected amino acids in protein structure. How to cite: A. Płuciennik, M. Stolarczyk, M. Bzówka, A. Raczyńska, T. Magdziarz, A. Góra: BALCONY: an R package for MSA and functional compartments of protein variability analysis. BMC Bioinformatics 2018, 19: 300-307..
AQUA-DUCT is a new tool facilitating analysis of the flow of solvent molecules in molecular dynamic simulations. AQUA-DUCT allows extraction, analysis and visualization of the behaviour of solvent molecules during the entire simulation. 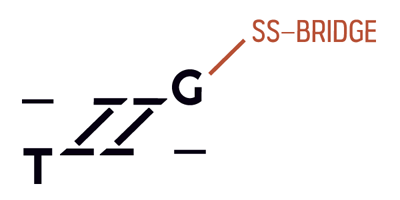 Such analysis can be useful for the analysis of the enzymes with a buried active site, connected with surrounding solvent by tunnels. The water flow can be controlled by molecular properties of amino acids constituting tunnels or in more sophisticated enzymes by gates controlling the opening and closing of the access pathways. For more details please read our ARTICLE or visit dedicated web page. An example of AQUA-DUCT results. Approximated trajectories of all water molecules detected in active site cavity during MD simulations of M. musculus epoxide hydrolase. The recruitment procedure for new team members is constantly open. We are looking for highly motivated students interested in virtual screening and drug design, in chemical reaction modelling and in enzymology, reaction kinetics and protein inhibition study. Both students from last years and just starting the study can apply. The best members can be awarded with individual stipends and will present their results on national and international conferences. The next application deadline – 30.10.2018. Currently we are searching for new group member for Dyna-gate project (molecular dynamic simulations, bioinformatics analysis) and IT specialist and for SS-Bridge project – wet-lab (protein engineering). Please send your curriculum vitae and letter of application to: Artur.Gora@polsl.pl. Poszukujemy studentów zainteresowanych: wirtualnym screeningiem i projektowaniem leków, modelowaniem reakcji chemicznych; katalizą enzymatyczną oraz oddziaływaniami białko-ligand oraz rozwojem oprogramowania naukowego. Mile widziane nie tylko osoby z ostatnich lat studiów, ale również zaczynające studia. Dla najlepszych osób przewidziane są stypendia studenckie; w ramach projektu będzie również możliwość przygotowania prac inżynierskich i magisterskich, prezentacja wyników na konferencjach zarówno krajowych jak i zagranicznych. Kolejna runda przyjmowania wniosków – 30.10.2018. Obecnie poszukujemy nowych członków grupy do projektu Dyna-gate (modelowanie molekularne, analiza bioinformatyczna) oraz specjalistę IT oraz do projektu SS-Bridge – praca w laboratorium (inżinieria białek). Please provide a valid Enter a valid email!